Meg Allen, on graduation from a Master of Speech Pathology. We bring you a glimpse into the varied profession of speech pathology via three of our alumna doing amazing work in their chosen field. Thanks to alumna Meg Allen for sending us this quote by fellow speech pathologist Megan Hodge. 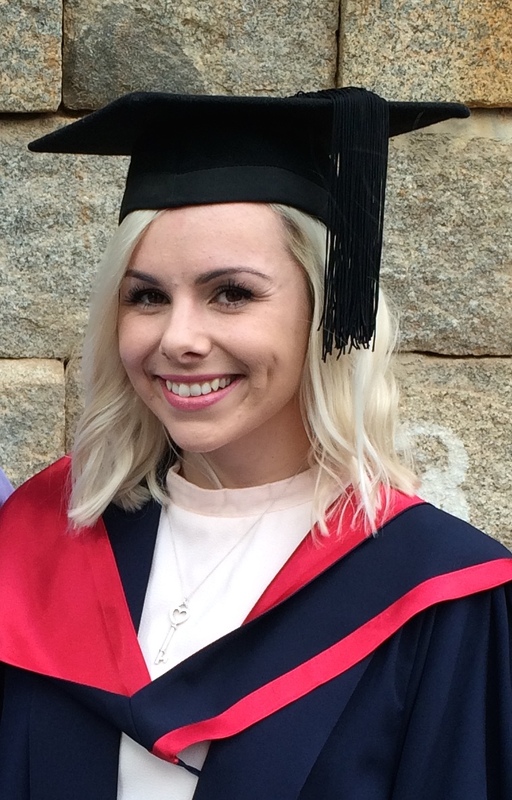 For the former La Trobe student it perfectly sums up her own experiences of the profession. Meg does just that in her job with the Department of Education and Training. She works across nine primary and secondary schools in the Bendigo/Sandhurst/Campaspe area, helping students with speech and language impairments. However for Meg, working with children remained her goal and she secured her job in fourth year before graduating. It’s a role that fulfils her daily. Abby King enrolled in La Trobe’s speech pathology course in 2009, in a pursuit to follow her passion for languages. “I studied Italian and English Language in year 12 and thought speech pathology would be the best of both worlds,” she says. Since graduating Abby has gained experience working with all ages. “After graduating I was able to gain a position within an early intervention service at a hospital, and have since worked in schools and the field of disability,” she says. Abby says anyone who is eager to make a difference in how other people communicate and who is passionate about improving people’s quality of life should consider a career in speech pathology. “It’s a profession that has a huge amount of opportunities to work with a range of people of all different ages, abilities and goals of what they want to achieve,” she says. Ann Reinhardt chose to study speech pathology as a way to change her life. The mature-age student had worked predominantly in hospitality before embarking on tertiary study. Ann’s efforts resulted in gaining a number of short-term contracts working across different areas of practice: paediatrics, adults and in a research setting before securing an ongoing full-time position working with inpatients at Bendigo Health. 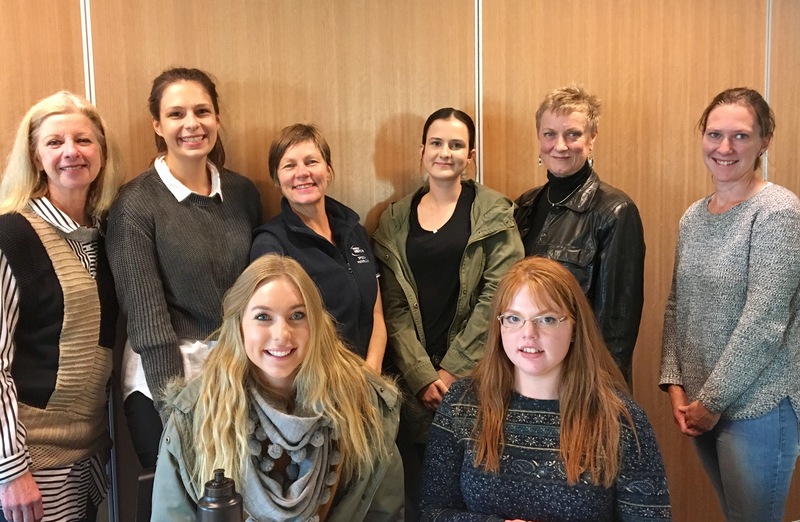 Abby King and Ann Reinhardt (second and third from left, back row) meet with current speech pathology students and their lecturer.